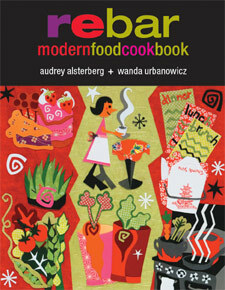 In celebration of Spring, The Lemon Kitchen is giving away our favourite cookbook, Rebar. I believe this is a must have for every kitchen. No fail vegetarian recipes that taste absolutely fabulous. A thank you to my long-time readers! To enter, please leave a comment here at The Lemon Kitchen telling us what your favourite food of Spring is. Draw will be held April 8th and winner announced that day!